You don't need to be the best if you can be the crowd favorite. 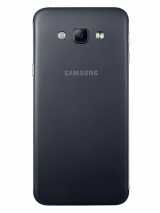 The Samsung Galaxy A8 is Samsung's thinnest smartphone yet and is certainly learning from the Note5 in some respects, but while it can't beat it on features it's likely to rival it on popularity. 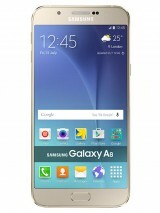 The Galaxy A8 is the biggest of the A series with a 5.7" Super AMOLED screen like the last three Notes. It only has a 1080p resolution though, like the Note 3, so it's not as superbly crisp as the Note5 but not bad either at 386ppi (close to the iPhone 6 Plus 5.5" 1080p display). 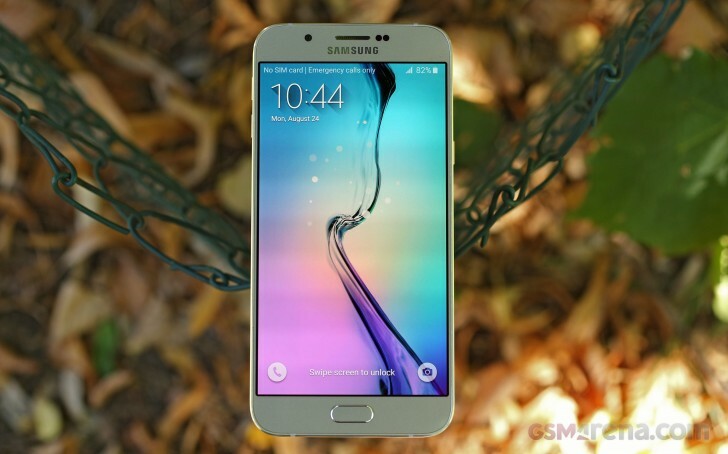 Like the Galaxy Note5, the A8 has a metal frame, but it's lighter and thinner. 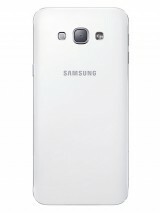 At only 5.9mm thick it limbos lower than any other Galaxy yet and even most other phones on the market. Surprisingly, this didn't come at the expense of battery capacity - the Galaxy A8 actually tops the Note5 in this category. The good news keeps rolling in when we get to the camera too. A 16MP shooter adorns the back with an f/1.9 aperture (sound familiar?). For selfies there's a 5MP f/1.9 camera. What's missing compared to the Note5's camera is OIS and 2160p video capture. Samsung's naming pattern is not the most organized but it's thoroughly consistent in one thing - only "Note" devices get an S Pen. 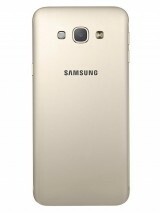 So the Galaxy A8 doesn't have a stylus, will you miss it? This year Samsung's alt-tablet, the S6 edge+, doesn't have one either (unlike last year's Note Edge), so maybe the company is wondering the same thing. Did we mention that the Galaxy A8 has a microSD slot? The clicky S Pen didn't get much of a reaction, but dropping the microSD slot from the Note5 certainly caused a ruckus. There's a dual-SIM version too - with it the microSD slot doubles as the SIM2 slot. The camera's main weakness - no 4K video - probably stems from the chipset. A Snapdragon 615 is a solid choice in terms of processing power, but it's lacking in gaming performance and video capabilities. The other option, Exynos 5430, can record 4K video but Samsung probably wanted to equalize the capabilities of both versions (they have the same model name after all). You won't be short of security features thanks to the fingerprint sensor though. However, there's no NFC so you will be missing out on Samsung Pay. That nitpicking aside, we're barely one page in and we can see why our readers are so excited about the Samsung Galaxy A8 - a premium-feel phablet with most of the best features of the Galaxy Note5, but without its king of the jungle price tag. Important note: We're reviewing the Exynos version of the Galaxy A8 and the battery life and benchmark results should be considered valid only for this model. The Snapdragon 615 version will probably perform differently. A8 plus is a disappointment w.r.t camera. Face recognition is so bad! Camera focusses and refocusses and takes blurry pictures even when its taken during broad daylight using timer.